Over the past few months a range of new projects have been completed or announced including plans for cantilevered skywalks in Australia’s Kalbarri National Park, designed by Eastman Poletti Sherwood architects. 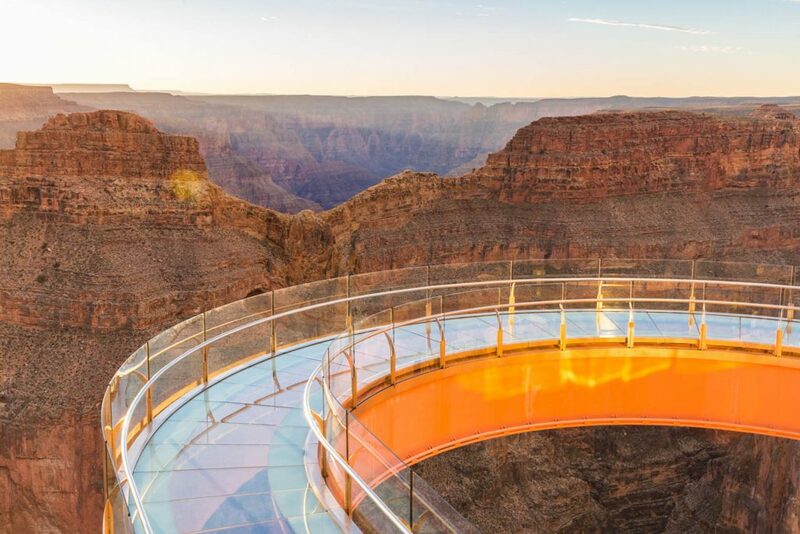 Hovering 100 meters over the Murchison river and slated for completion in late 2019, the project could be as popular as the Grand Canyon Skywalk, a glass bottomed, horseshoe-shaped, cantilevered bridge extending 70 ft and ‘floating’ 4,000 ft above the Colorado River in Arizona. China seems particularly partial to skywalks, recently undertaking numerous skywalk projects. In the Zhangjiajie National Forest Park, Longgang Geological Park and at the Gulongxia scenic spot in Guangdong Province, where a huge glass ‘Walk of Faith’ viewing platform is nearing completion. Also, currently under construction in the Chinese city of Shenzhen is the new headquarters of the world’s biggest consumer drone company DJI. The sci-fi looking building designed by Foster and Partners, will feature a skybridge between two towers that will function as a launch pad for showcasing new products. 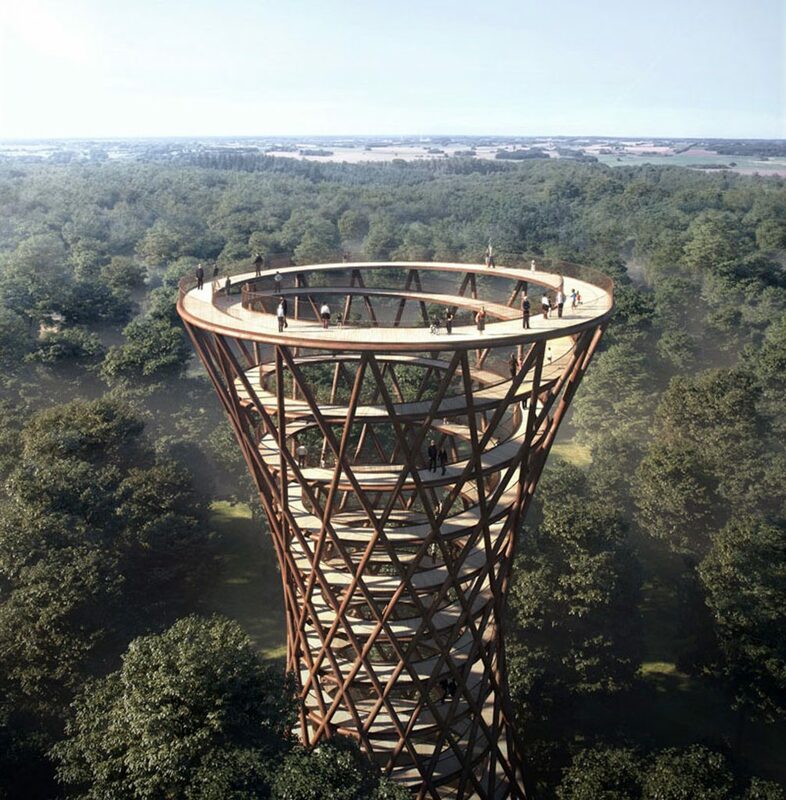 Meanwhile, projects closer to nature include a 45-metre-tall, spiralling observation tower designed by EFFEKT architects for Camp Adventure Park in Demark’s Gisselfeld Kloster forest. 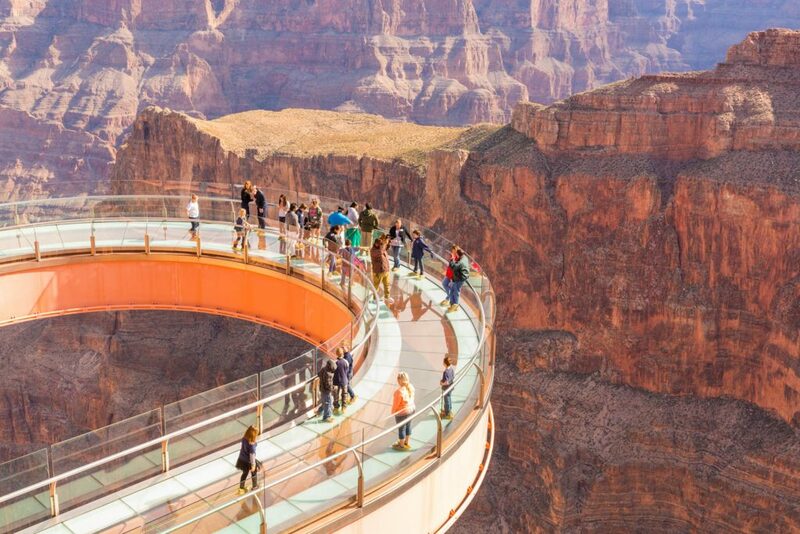 The tower will be connected to a 900–metre-long treetop walkway. 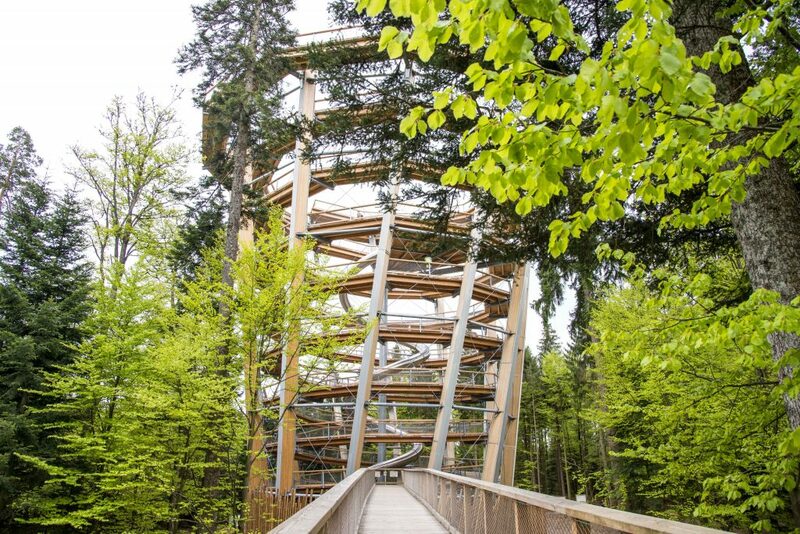 Switzerland is also getting its first treetop canopy walkway at Baumwipfelpfad. The project, similar to Baumwipfelpfad Germany, will rise 50 metres from the forest floor in the Necker Valley Churfirsten mountain trail.